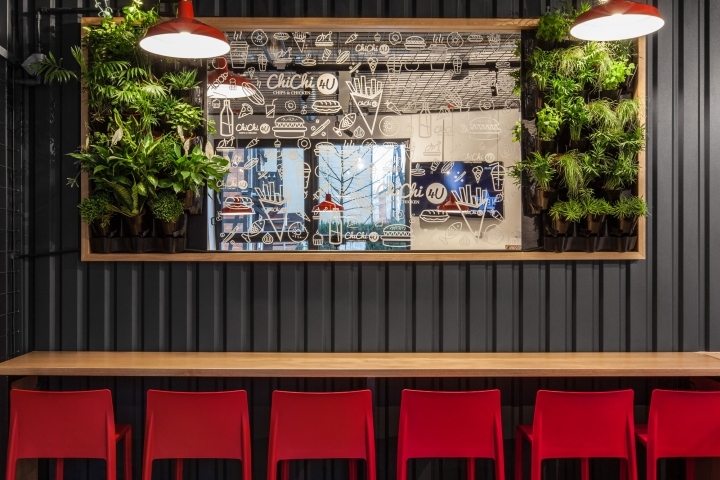 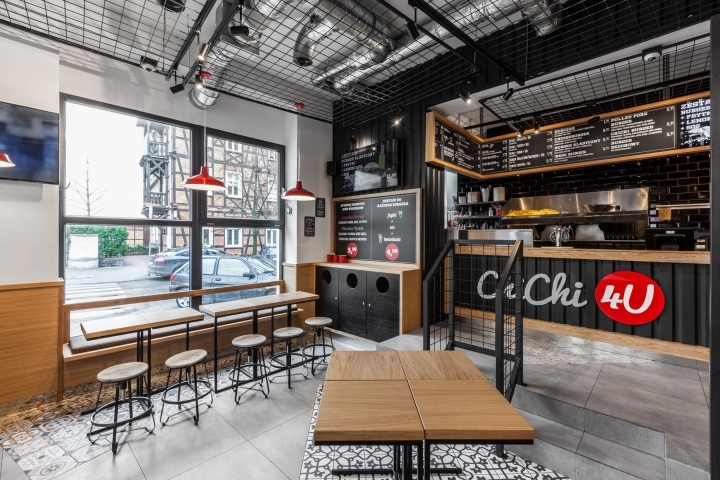 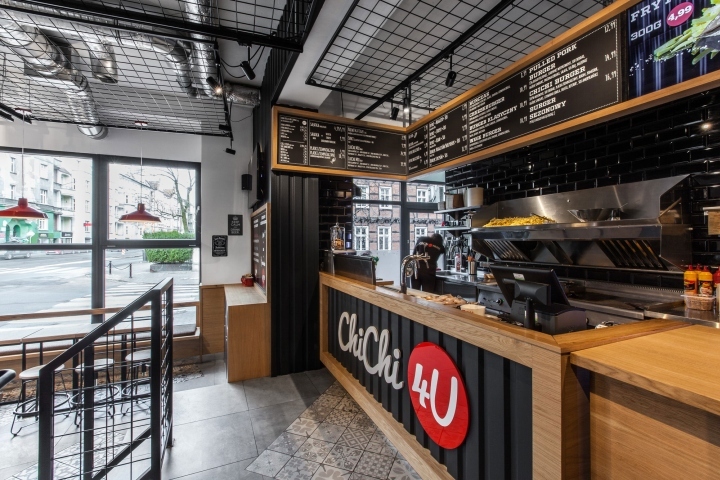 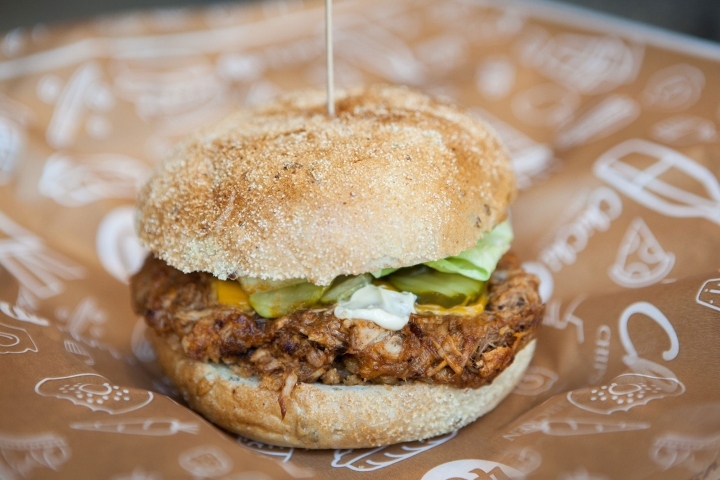 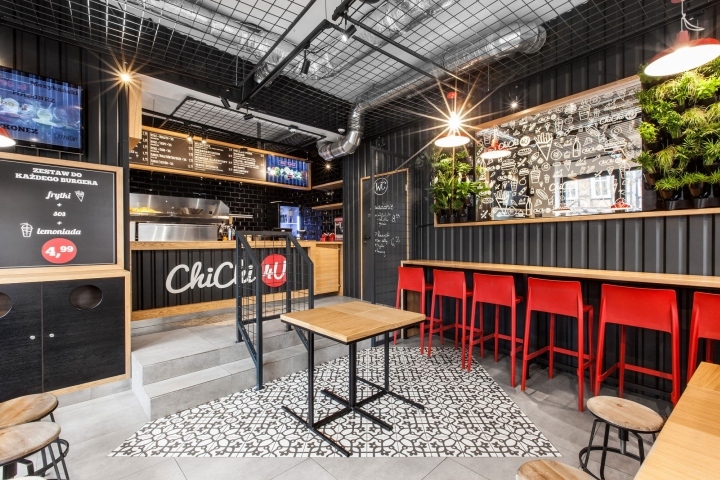 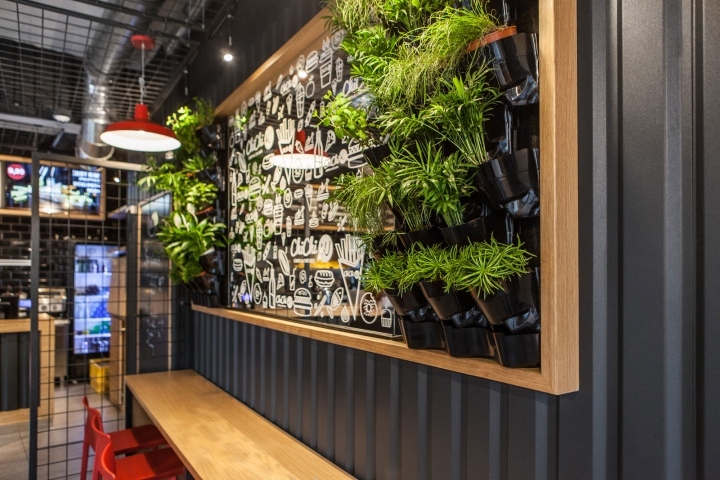 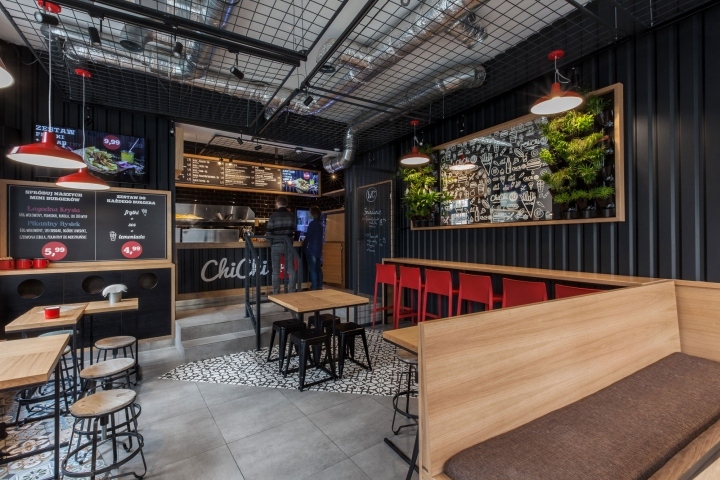 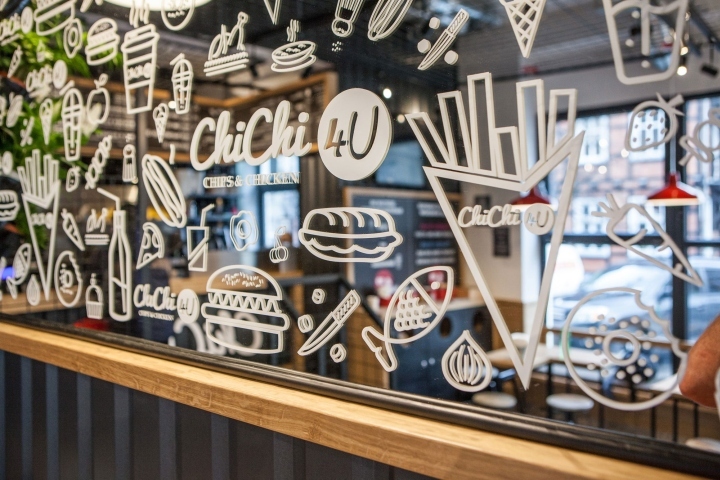 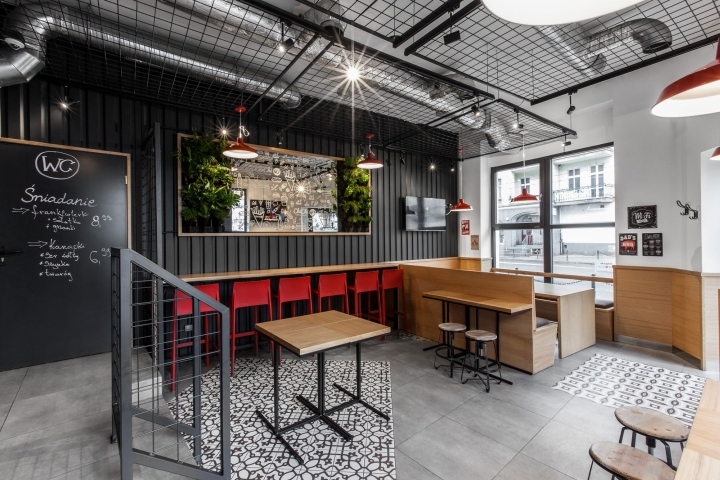 District of Wilda in city of Poznan has a new venue for burger and Belgian fries lovers – ChiChi 4U. 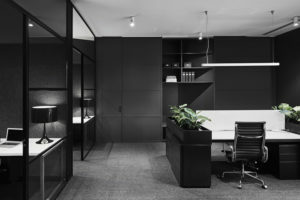 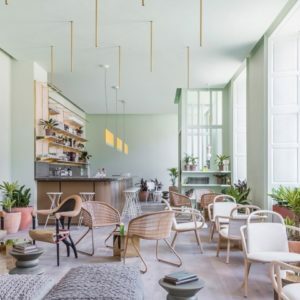 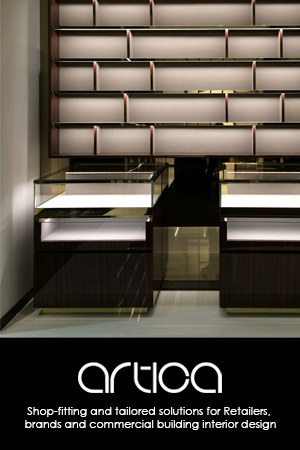 New interior design comes from architects of mode:lina studio. 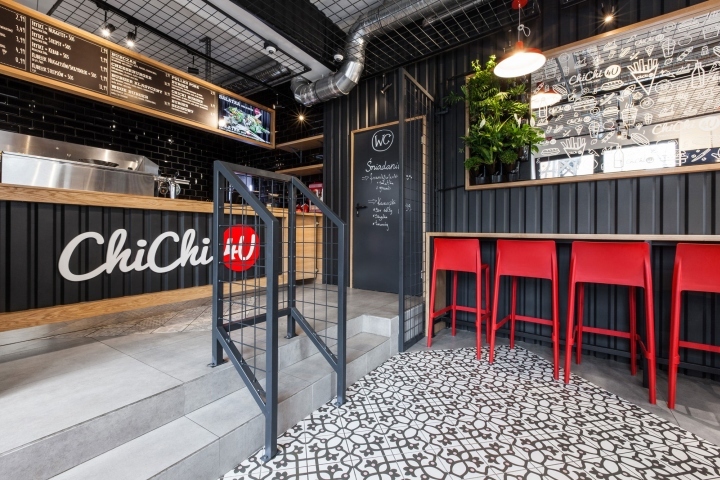 This is a second spot branded with ChiChi 4U logo. 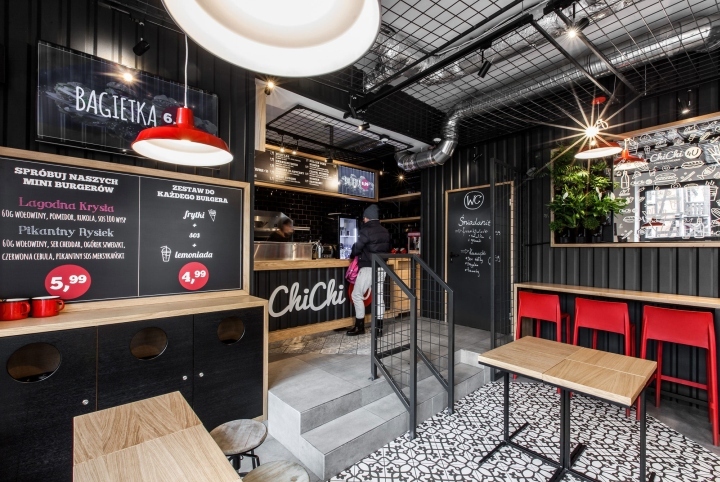 First one is a well known black shipping container located in the middle of TU campus in Poznan. 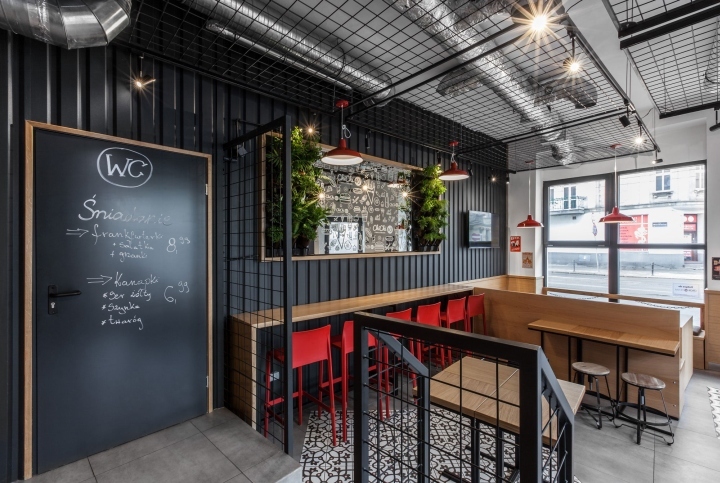 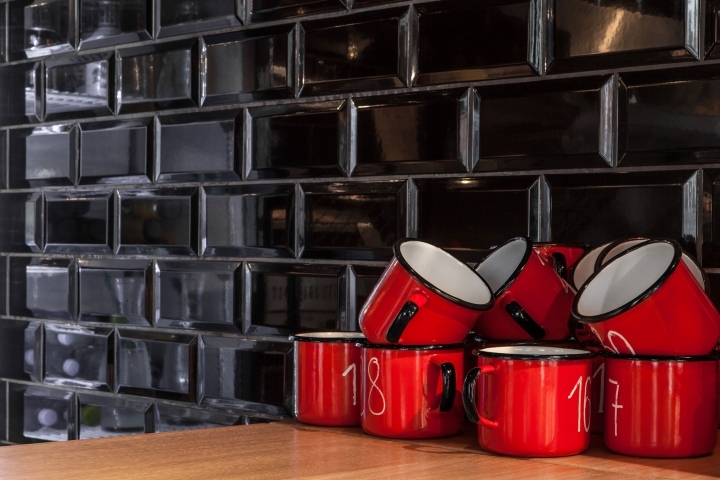 Owner’s decision to maintain recognisable raw and industrial aesthetics led the designers to pick black corrugated steel. 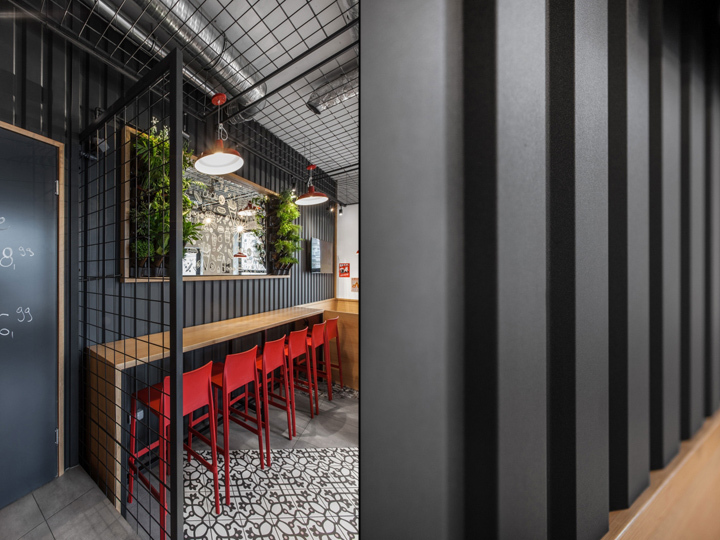 Suspended ceiling made of black steel mesh reveals silver technical ducts expand the raw and industrial atmosphere of the place. 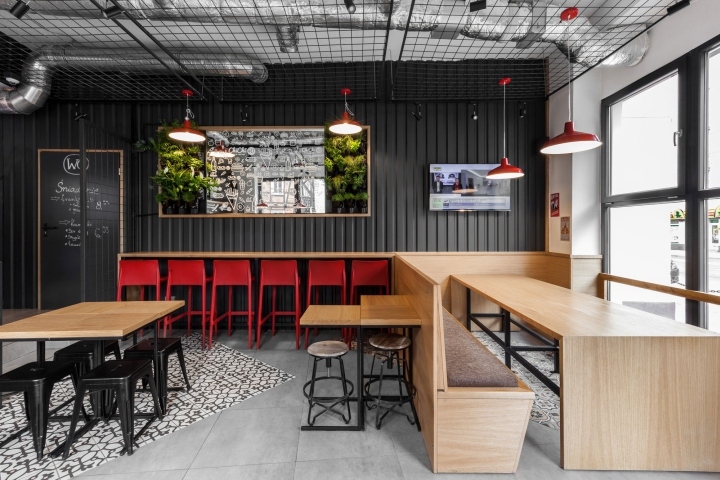 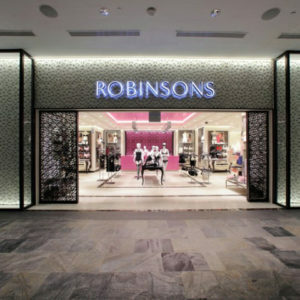 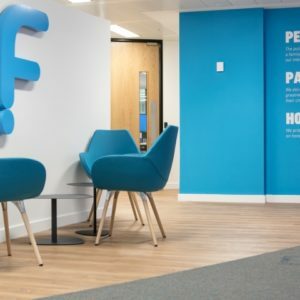 To give this rugged interior some homely and warm touch the floor has been covered with carpet shaped patterned tiles. 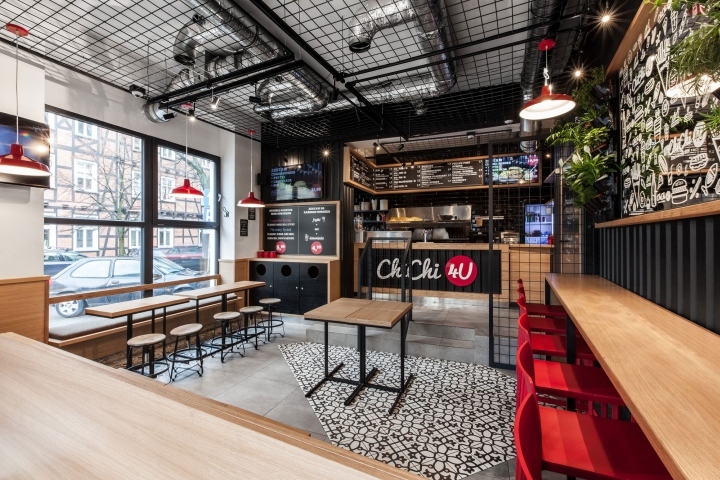 Black interior with some red splashes refers to brand’s visual identity.